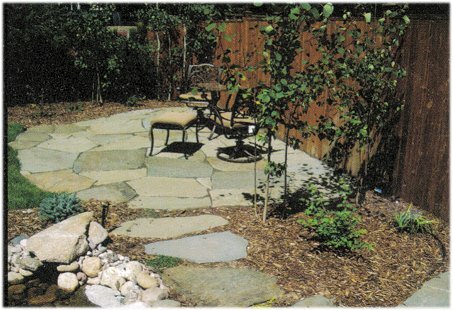 Mountain Stone Landscape Supply offers Cheyenne's largest selection of decorative rock! There are over 40 different rock selections from which to choose for your residential or commercial project. No amount is too small or too large, and delivery is available. We also offer a large selection of shredded barks including natural, cedar, redwood and dyed mulches and several types of soils and sand including screened, unscreened and prepared topsoil, compost, masonry sand, concrete sand, pea gravel, crusher dust, clay fill, and playground rock. Call or visit us to view our wide range of products. We have the supplies you need to make it beautiful! We have over 40 varieties of rock, as well as mulch, topsoil and much more! Click here for information on contacting and visiting us. Use our calculator to determine how much material to buy.